First we search for the root cause and identify where the blockages are in the body that are preventing the body from being self healing and auto regulating, remove the blockages and then we support the body to heal itself, using safe, natural and effective therapies. In this way, we encompass the whole person, an approach that is respectful of the whole being - body, mind and spirit. Traditional Chinese Medicine, acupuncture and other alternative health practices integrate scientific research with natural healing techniques. 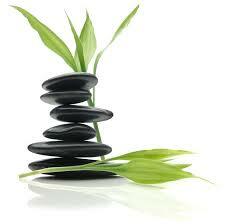 The body has a remarkable healing capacity when provided with the proper foundation. Our focus is on the causes of disease, rather than the symptoms. Toxicity blocks up our enzyme systems leading to functional disturbances of the liver, kidneys and other vital organ systems. When this happens this leaves us open to a wide host of diseases. We assist the body to return to its natural state by removing blockages and toxic scars that are preventing the body from being self -healing and auto regulating. In doing so, we facilitate your own immunity to be the player that heals. 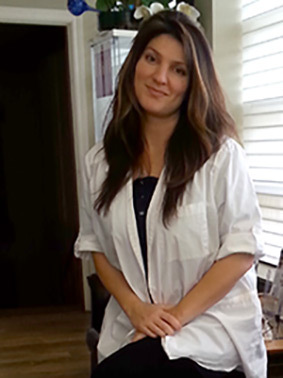 Lily Harb, is a Registered Acupuncturist and Certified Auricular & BioEnergetic Medical Practitioner. Lily Harb is specially trained in the art of Acupuncture, Auricular & BioEnergetic Medicine, which incorporates Holistic Nutrition, Drainage Therapy (homeopathy & botanical medicine) and Traditional Chinese Medicine. Lily has over 17 years experience in Preventative & Individualized Health Care, during which time she has worked with individuals experiencing health issues ranging from Allergies, Asthma, Migraines,Toxicity, Fertility Issues, Panic Attacks, Grief, Addictions, Pain, Digestive Disturbance, Skin Problems, and more. Lily is a member of the Institute for Functional Medicine, and the College of Traditional Chinese Medicine Practitioners & Acupuncturists of Ontario (CTCMPAO). She is president of Holistic Health Niagara and founder & director of the 'Through The Eyes of A Child Initiative'. Differential Clinical Diagnosis Using Biotherapeutic Drainage for Optimal Patient Results presented by Dr. Mikhael Adams in Toronto, ON. Clinical applications addressing viruses and pandemics in the 21st century. The Evolution of Disease and Biotherapeutic Drainage: Clinical Protocols Supporting Nature Cure and Biotherapeutic Drainage Therapy by Dr. Gerard Gueniot, MD of Lille France. Chronic Degerenative Disease: The Next Step by Dr. Mikhael Adams, ND of Toronto ON (president of The International Association of Auricular and BioEnergetic Medicine). Auriculotherapy by Dr. Raphael Nogier, MD of Lyon France.